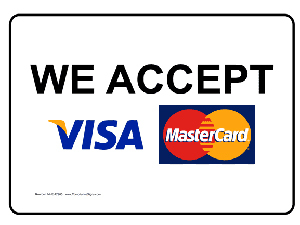 Cash, Check, Visa,Discover,Amex and Master Card Accepted For Membership. 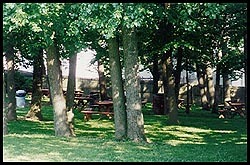 The Ft. Washington Swim & Tennis Club, aka “The Fort,” is a community owned member driven outdoor club located 15 miles NNE of Philadelphia in Upper Dublin Township. 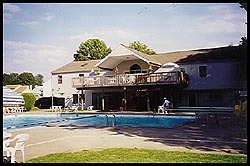 Built in 1960 and remodeled in 1992 and again in 2005, “The Fort” offers its members an unsurpassed combination of tennis and swim opportunities for the entire family. “The Fort’s” tennis and swim instruction is renowned throughout the area as “The Best!” The management prides itself on the cleanliness and safety of its facility and its diversification of programs for all age groups. “The Fort” is on the cutting edge of technology. 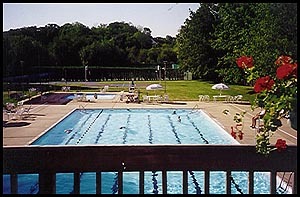 It is the first commercial pool in the state of Pennsylvania to convert to SALT WATER. No more “bad hair days,” faded bathing suits, chlorine smell, burning eyes – just the most relaxing swimming experience EVER! Over 180 children, ages 5-18, participate on our swim and diving team. Everyone is invited to participate and our expert coaching staff makes sure that everyone who wishes to participate on our team has the opportunity to do so. Group and/or private swim lessons are available from Memorial Day through Labor Day. The pool is open to the members noon until 8pm, weekends only from Memorial Day until school is out and then 7 days a week through Labor day. Our tennis program is the largest in the area. We host 17 Women’s USTA Adult League teams ranging from 2.5 to 4.5 NTRP levels, and 3 Philadelphia Women’s Interclub teams during the spring season. The USTA teams are open to members and non-members alike. The Women’s Interclub teams are for members only. During the summer, Women’s Round Robins and Women’s Senior USTA League teams are available to both members and non-members. Additionally, we have numerous junior and adult programs and lesson packages offered 7 days a week by the best USPTA certified pros in the area.The courts (6) are open sunrise to sunset daily from April 1 – October 31, unlimited play (no court fees).